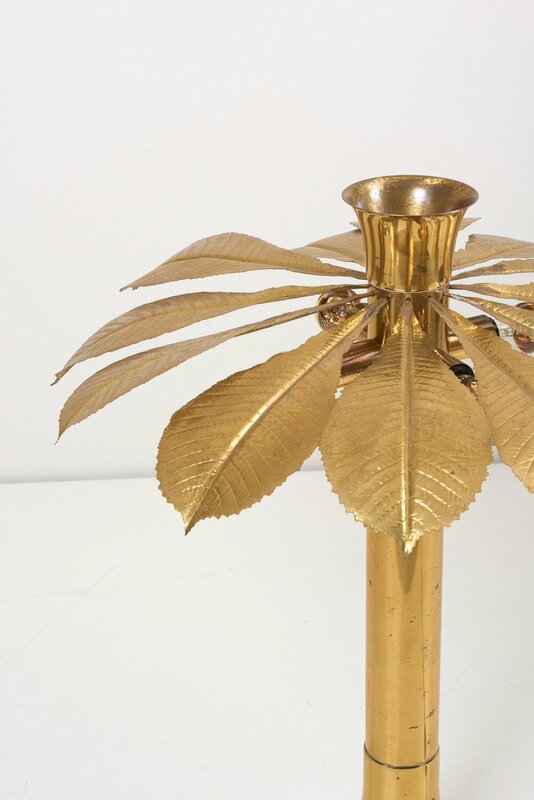 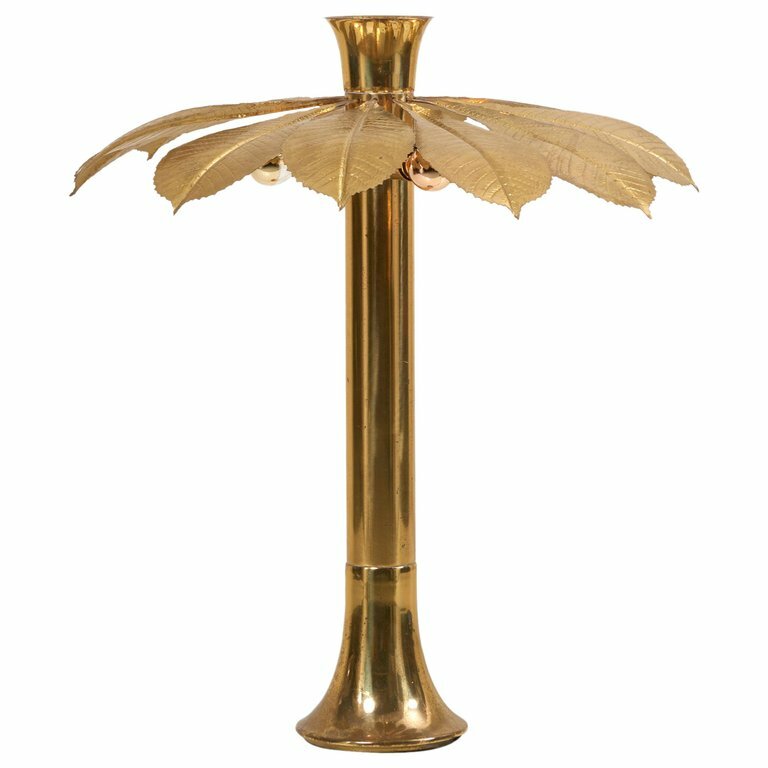 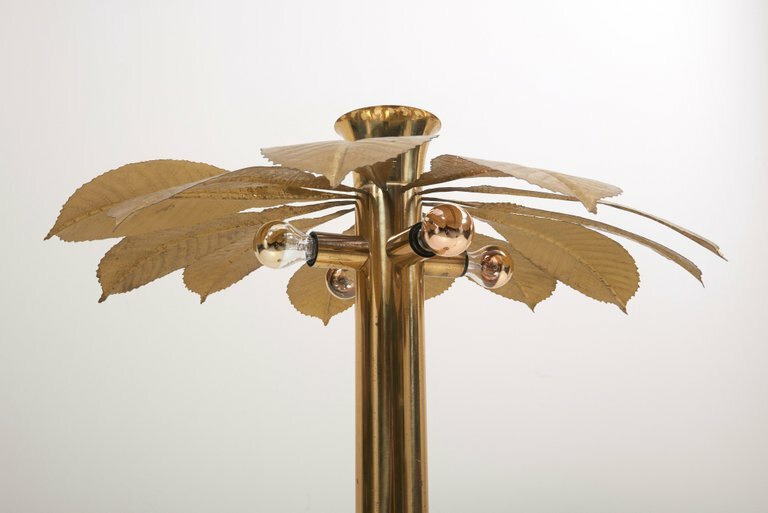 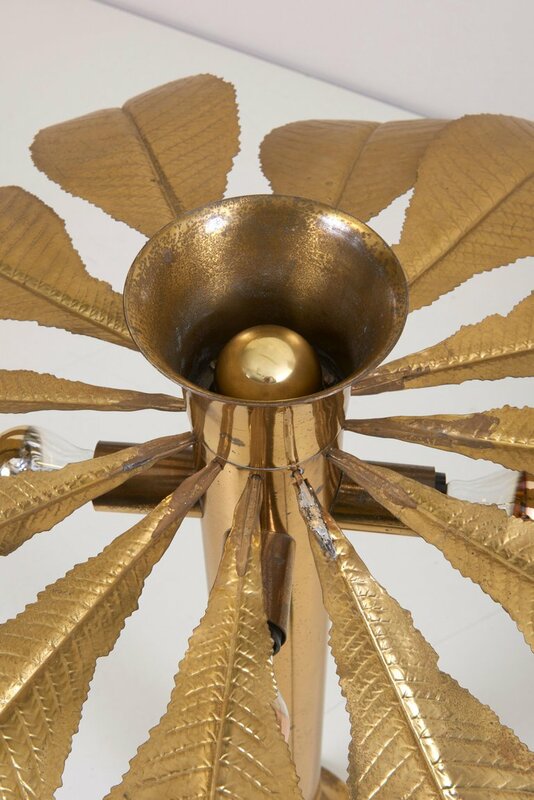 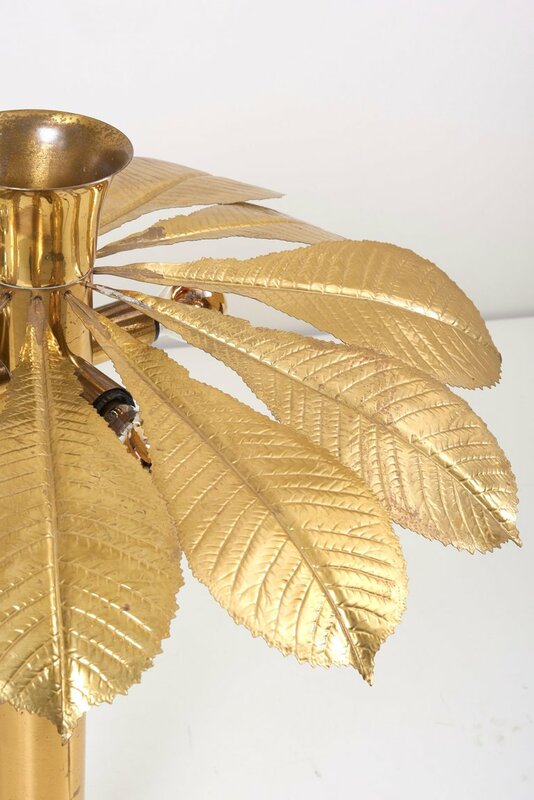 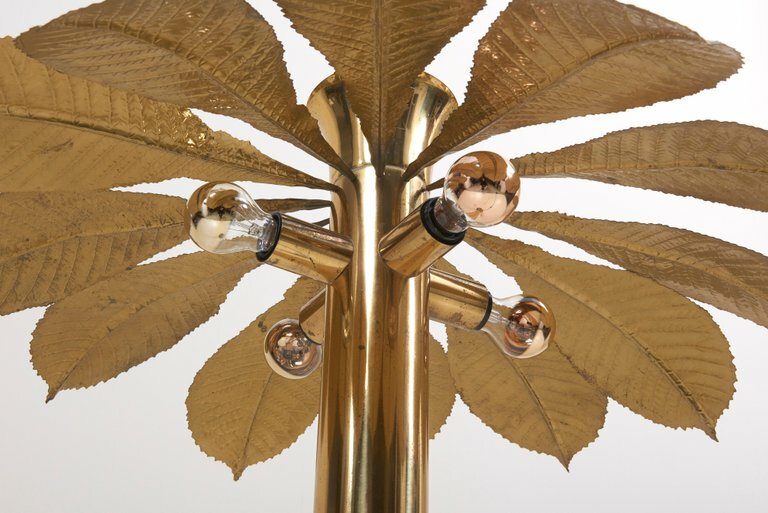 Very rare and elegant floor lamp with multiple rhubarb leaves by the Italian designer Tommaso Barbi. 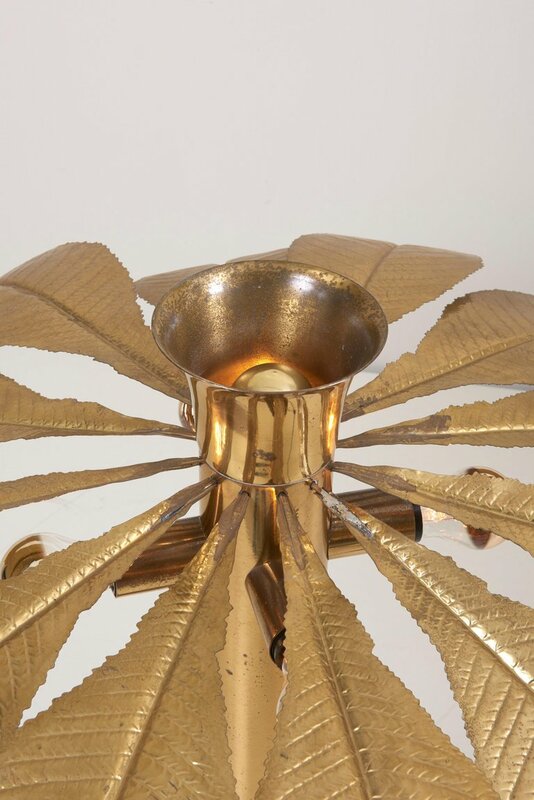 The lamp is made of brass and the reflexion of the light on the brass brings a cozy atmosphere in every room. 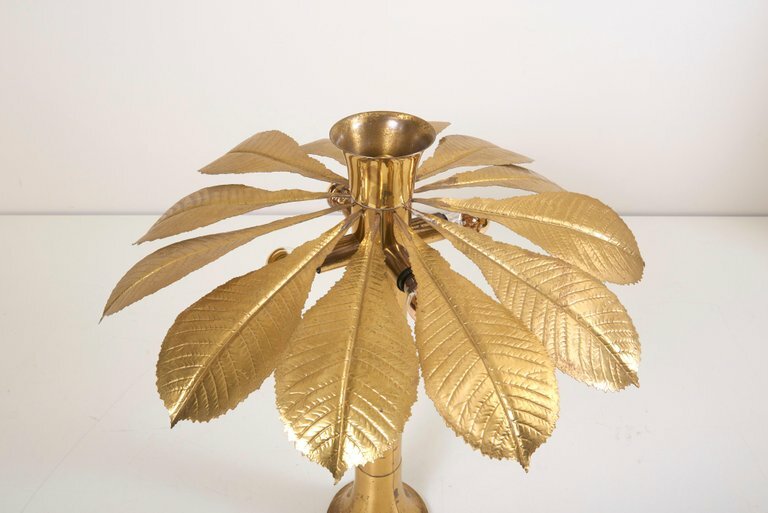 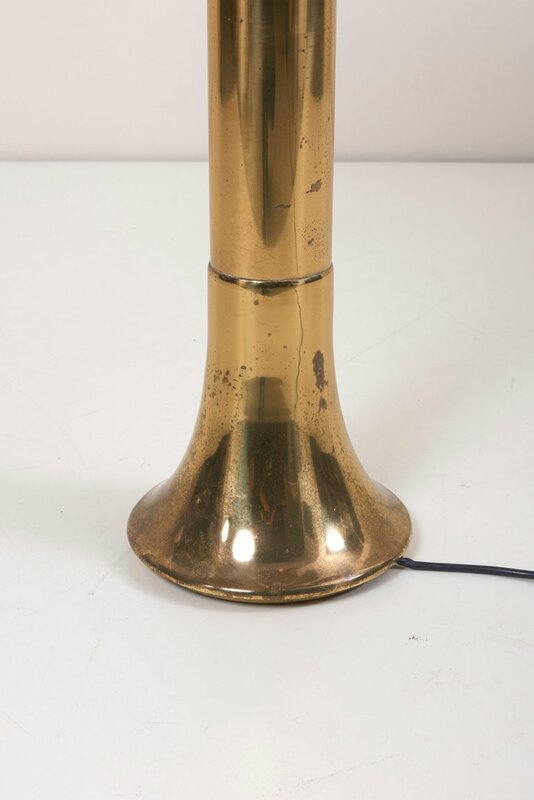 The lamp is a icon of the 1970s design and is in very good condition. 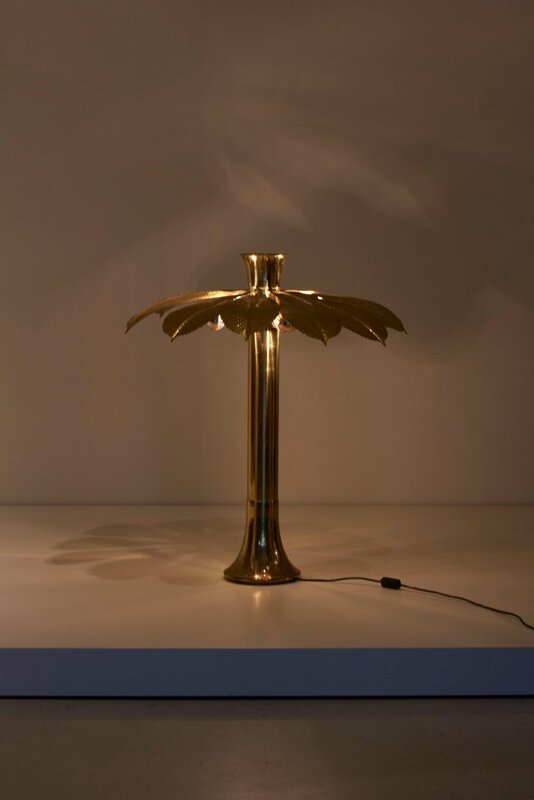 To be on the the safe side, the lamp should be checked locally by a specialist concerning local requirements.